Having a great interest in Indian Mythology, I read the literature off and on. While doing the same, I came across the importance of elephants. The animal is among the most revered animals. It was believed to be emerged from the ocean after the churning of the ocean took place between the demons and gods to attain the immortality. Reading this, my memories of the tour to Rajasthan got alive. I was there with my husband during the time of elephant festival. 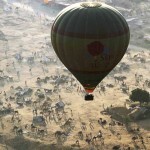 Among the most popular festivals of Jaipur, it offers you the opportunity to view the grandeour of the city. 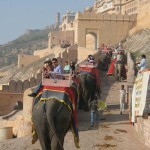 All royal guests were being taken to the renowned Amber Fort on elephant back. Not only this, but some special elephant fights were also conducted to offer entertainment for the guests. 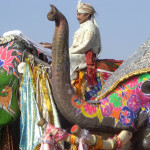 This spectacular elephant festival in Jaipur is organized in March every year. The grand procession just enthralled us. The elephants were bedecked on their heads and the tips of tails with heavy jewellery, flowers and other ornamentation you could imagine. To our surprise, they were also wearing anklets that tinkle once they walk down in all their glory. We enjoyed being witness to the various games like polo, races and Holi. Splashing each other with bright colours, they create a wonderful scene. What could be more fascinating than the performance of folk dancers! It felt like we were in a grand celebration that would never end. Besides elephants, other decorated animals like horses and camels can also be seen there. The highlight of the procession was, it could be seen with all the original grandeur of the old era. With the end of the procession, we were invited to mount the elephants. Many other tourists like us also grabbed this wonderful opportunity and enjoyed a lot. Some enthusiastic visitors also started playing with colours. We also joined in the parade. The whole atmosphere soon became jovial. 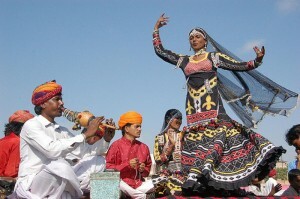 The musical notes of the folk performers also added charm to the festival. With much enjoyment and recreating the age-old legacy, the grandeur of the festival ended. 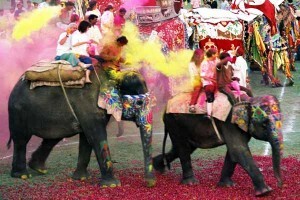 The memories of the elephant festival are still fresh and takes me to the world of royalty.